Happy Sunday to you! Can you believe next Sunday is Easter already? Boy time is flying!! Big plans for the holiday? We may go to brunch but thats about it. This Saturday was pretty boring around her. It was one of those blah days, it was pouring rain and super windy, doesn’t make for an energetic day. I had all these big plans and then the day got here and I wasn’t feeling it. So what goes best on a poopy day? Comfort food! So I decided to pull out the old crockpot and make a wonderful new soup. I made Chicken Lemon and Orzo Pasta Soup. It was my first time using orzo pasta, and I thought it was quite good. It really puffed up nicely. I must have had the bag of pasta in my cupboard for like 6 months, glad I finally used it. Now that I understand the texture of it, will make for some very nice dishes. 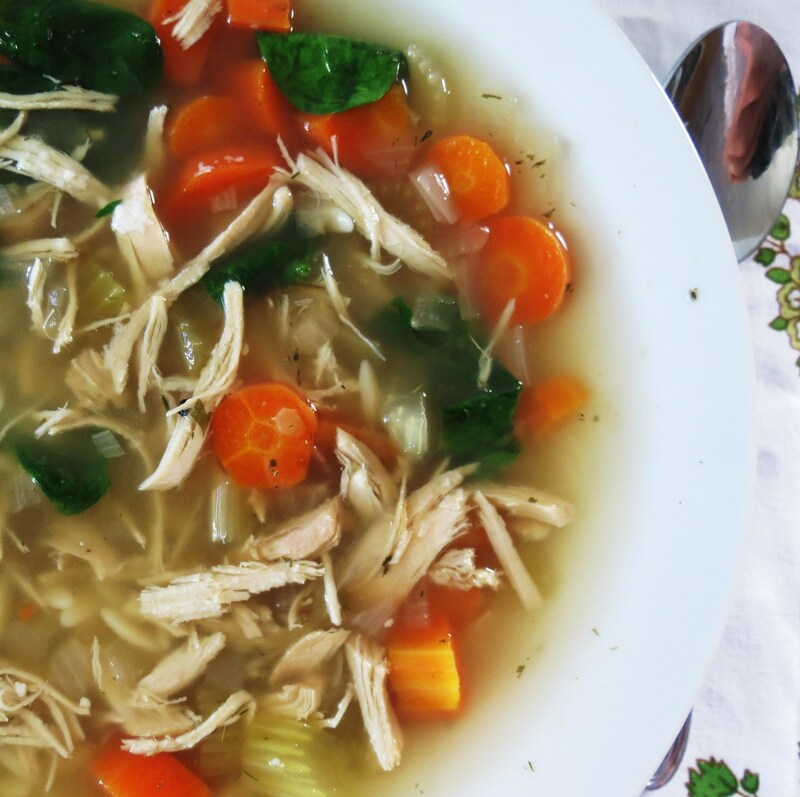 This soup is kind of spin off of my Chicken Noodle soup, which is my husbands favorite. He told me he liked tonight’s soup but likes my Chicken Noodle Soup better. I liked both soups, but he’s not good with change. He’s such a traditional person when it comes to food, none of that fancy smancy stuff for him. For me I like to create and go crazy sometimes. I like to take the old and update to something new and exciting. Thats what I love about cooking, there’s so many variations of dishes. 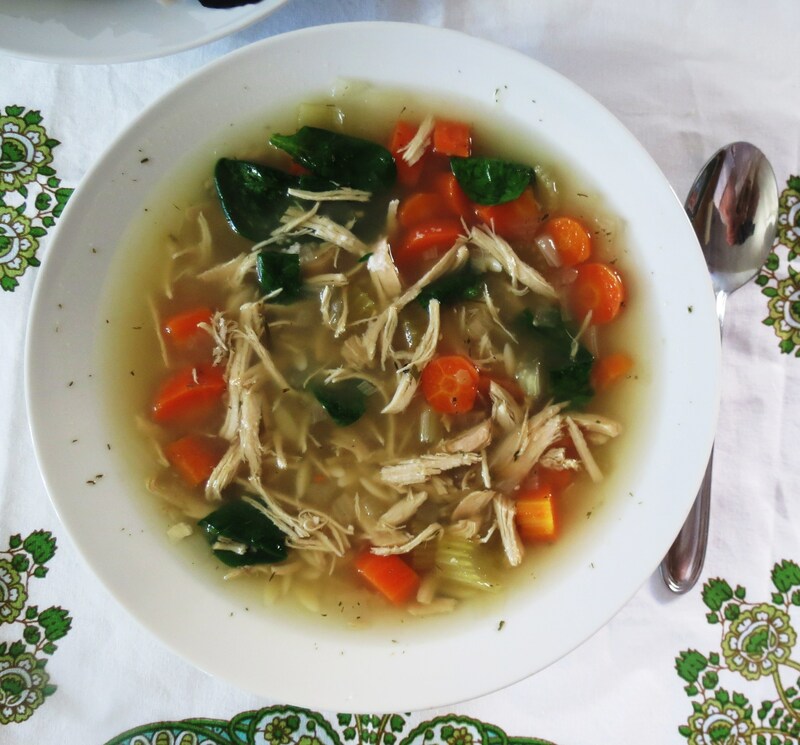 When I was making this soup I wasn’t sure if it would be enough chicken, vegetables or broth. See for Christmas I got a new crockpot and it’s huge compared to my other one, so when I looked at it didn’t seem like much, but I was so wrong! 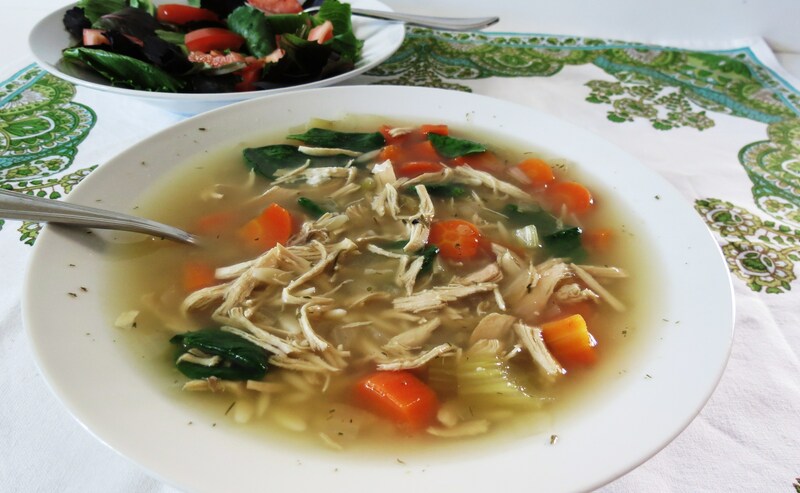 This soup is loaded with chicken, carrots, celery, spinach and orzo pasta. I add the juice to half a lemon to it and it really added some zing to it. It was a nice change. I also topped my soup with some Parmesan cheese which was a perfect match with the lemon flavor. As you can see from the bowl of soup, it is loaded and I measured out every bowl and it was the same. I love that!! No one gets skimped on vegetables or chicken. It’s a light soup, yet it was very filling and certainly a perfect comfort food. I will definitely be making this again! Add all your ingredients into a crockpot (except the orzo pasta). Cook on low for 7 - 9 hours or on high for 5 - 6 hours. About an hour before the chicken is done, shred your chicken with a fork. Meanwhile, cook your orzo pasta according to manufactures directions. About 5 minutes before you serve your soup, add spinach and orzo pasta. Wait for the spinach to wilt. Top soup with a little Parmesan cheese. Since I used low sodium chicken broth, I tend to add a little bit of salt to my soup. I’ll leave that up to you. I try to limit my sodium, but something just need it! Also when you shred your chicken, taste test your soup and see if you need to add anymore spices. That when I doubled up. Originally I used half the spices I listed above but found I needed a little more. 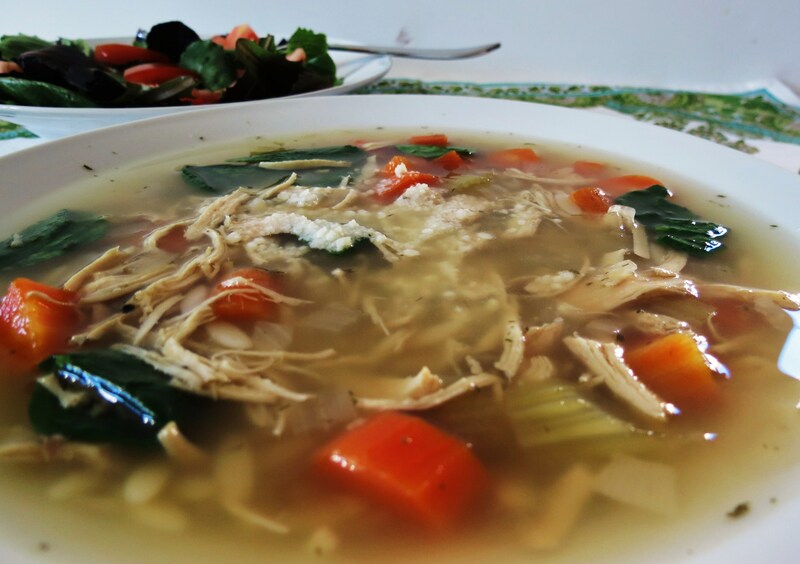 This soup is so easy to make and it’s a crowd pleaser. My Husband actually went back for seconds so I know it’s Husband approved. I’m signing off, remember when I said I was going to clean my cupboards on Saturday, I still haven’t so that’s what I’m going to do now. Have a great Sunday!! 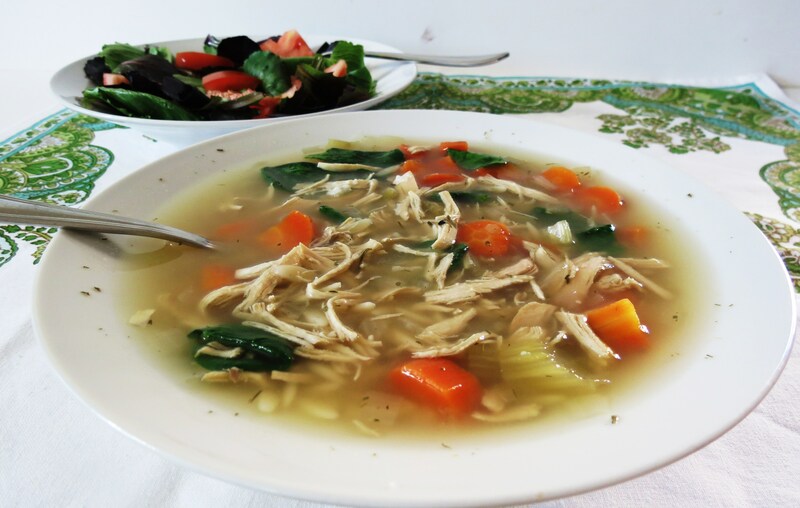 Jennifer – soup hasn’t been on my radar lately but now you have me craving it! This looks wonderful and loaded with so many good things! It’s been getting warmer here, but today is awfully cool out. This would be perfect for dinner! I love crockpot meals and soup! so perfect fit! This soup looks very comforting and so tasty. It really is a picture perfect soup. This soup looks great! I should use my crock pot more often – this recipe is a great excuse to break it out! 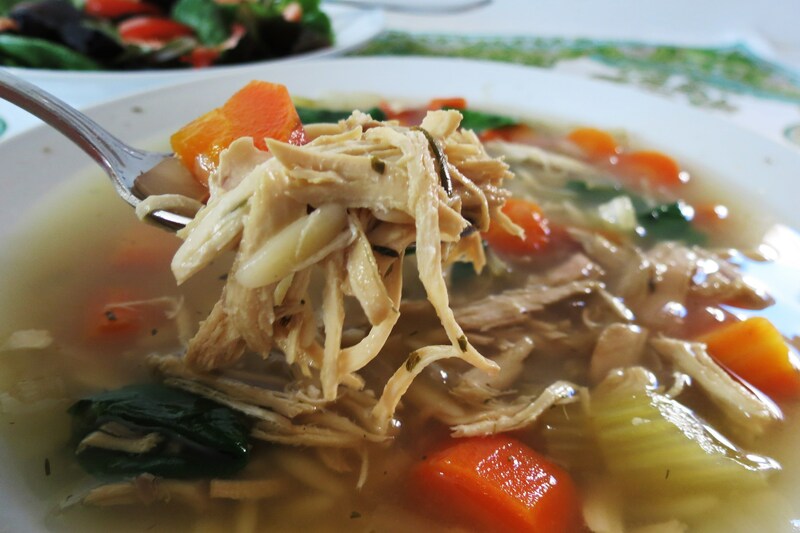 I love homemade soups, especially in a crockpot. I love the sound of lemon in it! lol! I don’t know my husband is pretty bad! He clears his plate than when I tell him it had yogurt or something off in it, he’s like I knew I tasted something funny. He’s lying! He didn’t know! Men, there such funny creatures! 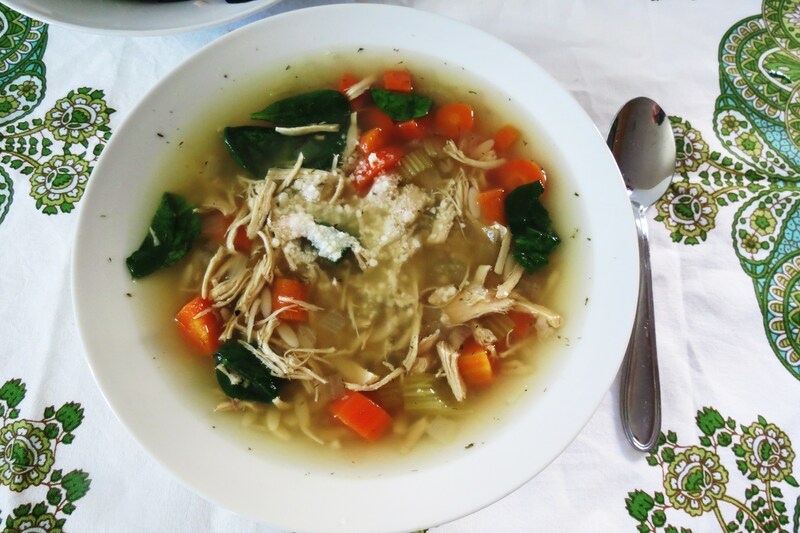 Mmm, this looks like such a comforting soup 🙂 Love that you added orzo! It was the first time I had orzo and I love it! !